It's 2017, and I consider this the Brand You Year, and we all need to start somewhere. With creative coaching, I plan to help you sort out successful strategies for your journey ahead. When I began blogging in 2010, I fished for info on how to gain an audience, voice, and place in the blogging industry. Three .com’s later, I’ve finally figured out my tone, image, and niche. If you are seeking a more cohesive virtual identity, this is for you. Signing up for a course will save you time by making all the right decisions before you have the chance to make any wrong ones. 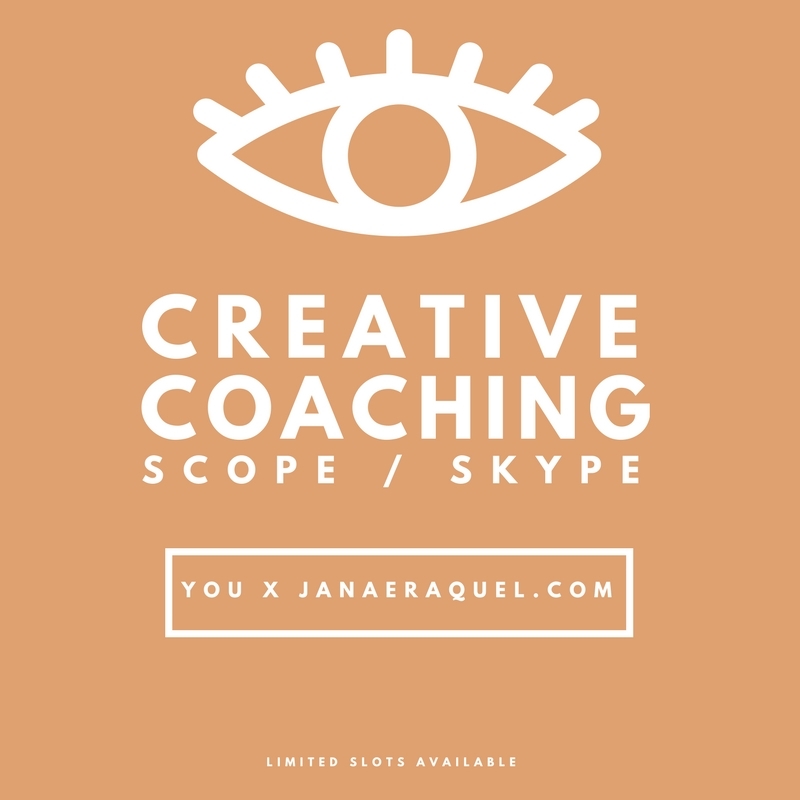 Creative coaching is helpful no matter where creative career currently stands; whether you're regrouping, refreshing, or even thinking of relaunching. Let's get busy. Everyone deserves a walk in the park. Let’s take this time to sort out a successful strategy for your journey. The Picnic is our welcoming session where we go over everything submitted on the registration form and plan future goals, aspirations, and consultations. Let's catch a breeze on the stoop where the sun shines, and the birds chirp. Here we will chat a little over a half hour creating all missions possible! Serves as a session add-on which follows The Picnic. Consider it happy hour! At the coffee table we will chat a little under an hour discussing tips and tricks to bring you a step closer to who, what, and where you want to be virtually. Grab a dish, pour a glass of wine, and let's chat under the stars. Sitting at the dinner table is where we will spend the most time together building a better you, brand, and social status.